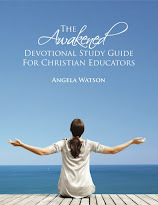 At the end of July, we wrapped up the first online book club for Awakened: Change Your Mindset to Transform Your Teaching and the THIRD online Bible study for the Awakened Devotional. Amazing, right? Over the course of the last two years, over 2,000 teachers have signed up for the studies and participated in some way. It's been an incredible experience, and now we're all wondering...what do we do for this fall? I want to try something different. It's very difficult for many teachers to keep up with a Bible study during the school year. And the teachers who have already completed the study need some kind of ongoing reinforcement throughout the school year to help them remember and apply the things they've learned. Reading and commenting on another blog is just one more thing to check off the to-do list. But Facebook? Well, that's a place that many of us are already visiting on a regular if not daily basis and enjoy posting to informally. So this time around, let's try it this way: a closed Facebook group called Encouraging Teachers. It's not designed specifically for Christian educators, and people of all faiths (and no faith at all) are welcome. The idea is to have a casual place for educators to inspire and encourage one another throughout the school year. Everyone will have the opportunity to share images, videos, links, questions, personal reflections, and success stories. 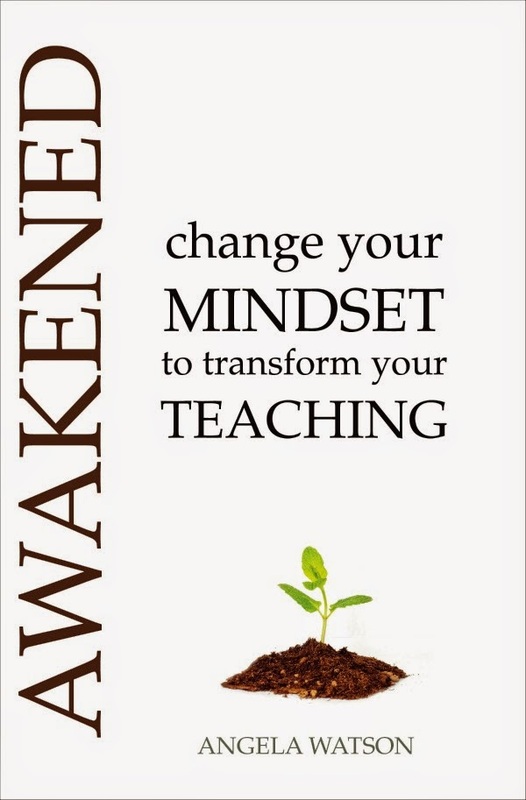 Once a week, I'll also be posting reflection questions from Awakened to support those of you who are reading or have read the book and would like an online group to help you practice the principles of a positive mindset in the classroom. You can click here to join the group, and once you're in, you can add your friends, as well. I will manually approve all members to keep the spammers out. What you post in the group will NOT be visible to anyone outside of the group. 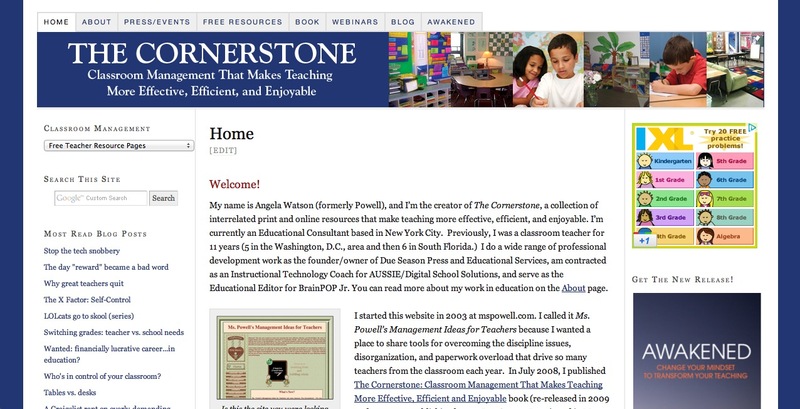 If you already follow The Cornerstone For Teachers Facebook page, or The Cornerstone Devotions for Teachers Facebook page, there are two main ways the group will be different. Firstly, only I can post stuff on the pages, but with the Encouraging Teachers group, everyone can post and read one another's statuses easily. There's more of a community feel because everyone's status updates are weighted equally in the group, and it's not just me posting things and you all commenting on them. (Bonus: since it's a private group, there won't be any snarky teacher-bashing comments from outsiders.) Secondly, on the Facebook page, I share a lot more than just inspirational stuff: there are also things related to education reform/the anti-testing movement, teacher's rights, and a quite a few sarcastic eCards and jokes. The Encouraging Teachers group won't include any of that, and will solely be a place for sharing positivity. I want the group to be a place you can visit when you want to be inspired, hear good things about our profession, and connect with other positive-minded educators. You can tell us about things that are working well in your classroom, ask for helpful advice about the things that aren't working well, and share any teaching-related thoughts, photos, articles, etc. that you think would be encouraging to other educators. Nearly 5,000 teachers have already joined, and I'm thrilled with the depth of conversations happening so far and the unwavering support teachers in this group are providing for one another. See you in the group!